Designed by Peter Homestead, the Kenzo Padded Sling Collection exhibits simple, graceful lines and a wide frame. Padded Sling Seating features two pieces of designer fabric slung across the seat and back to provide comfort with modern styling. The Kenzo Padded Sling Collection includes outdoor dining chairs, swivel rockers, swivel action loungers, chaise lounges, and bar stools. 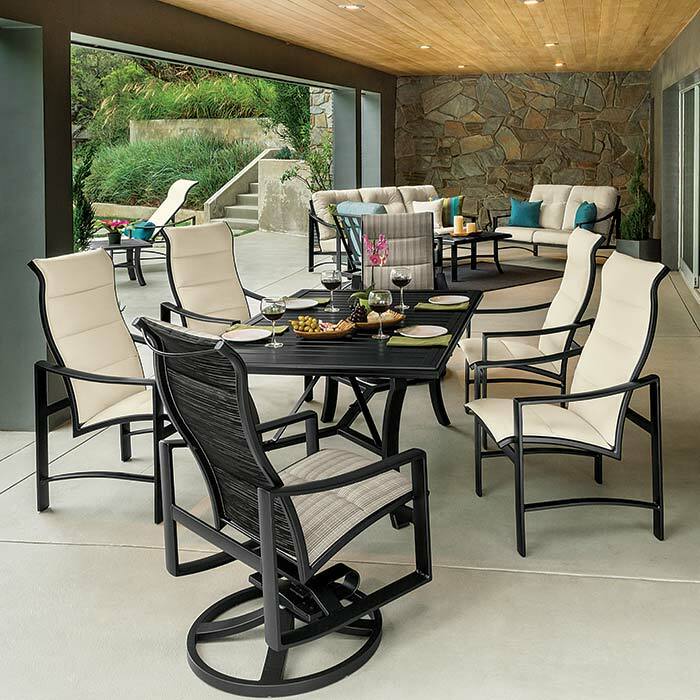 Customize any of these padded sling patio furniture pieces by selecting durable, designer fabrics from Tropitone’s plethora of fabric options.